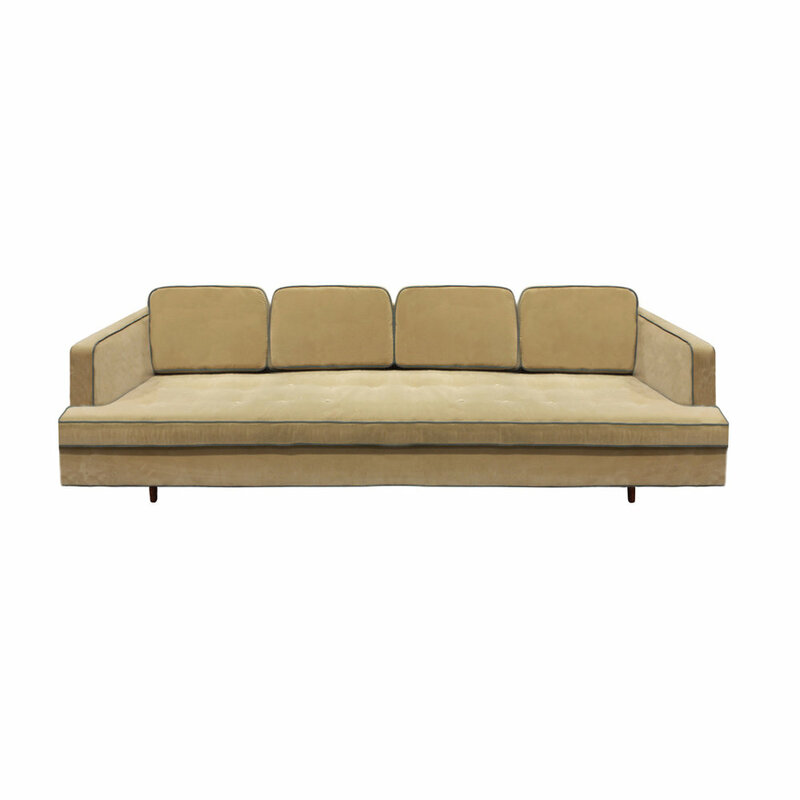 Elegant sofa with 4 back pillows and conical mahogany legs by Edward Wormley for Dunbar, American 1950's. Condition: Fabric is original and has staining. 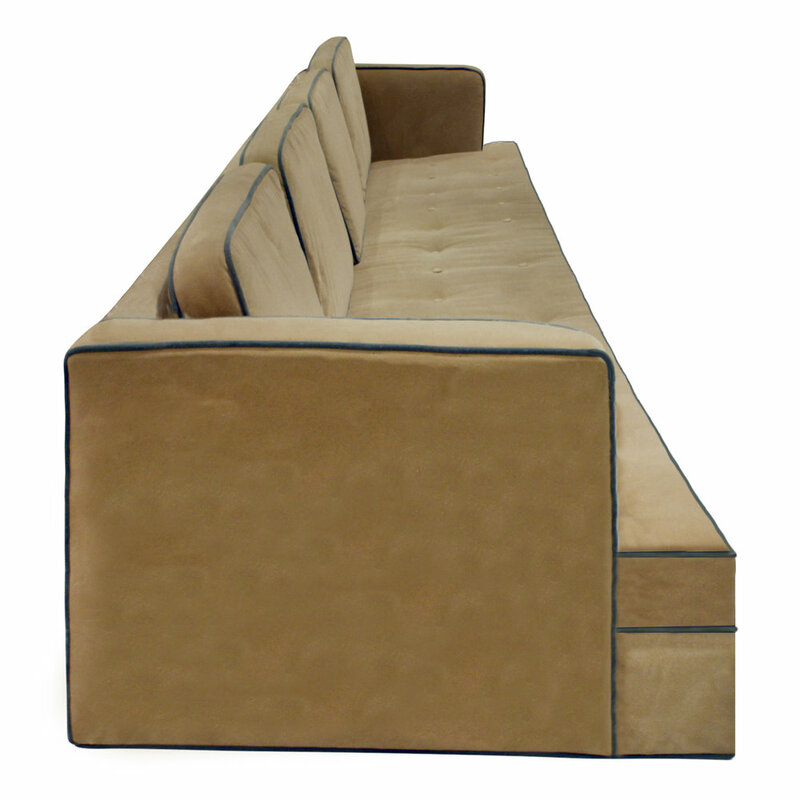 Lobel Modern to reupholster it COM as part of the price.